Samsung today announced the upcoming launch and new details of the ATIV Odyssey for Verizon Wireless, Samsung's first Windows Phone 8 device for the U.S. 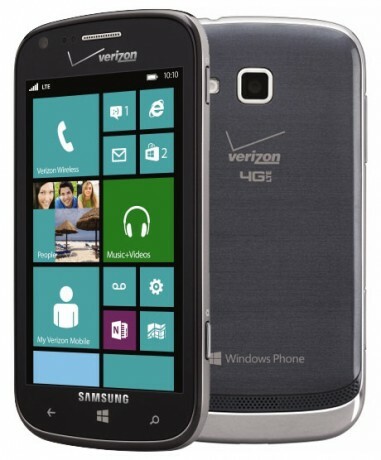 Originally announced in October for launch by the end of 2012, the phone is now slated to launch "in the coming weeks." The ATIV Odyssey has a 4-inch Super AMOLED display, 1.5 GHz dual-core processor, 5-megapixel camera, and global roaming. The phone also features 4G LTE, a 1.2-megapixel front camera, 2,100 mAh battery, and 8 GB of internal storage plus up to 64 GB of microSD memory.